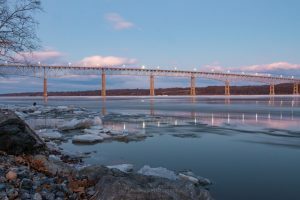 A shot of the Kingston–Rhinecliff Bridge spanning the Hudson River as seen from Charles Rider Park in Kingston, NY on a February evening. 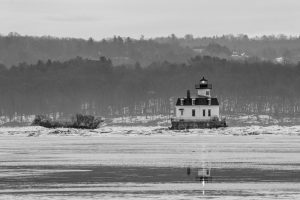 A black and white capture of the Hudson River’s Esopus Meadows Lighthouse on a February morning from Lighthouse Park in Ulster Park, NY. 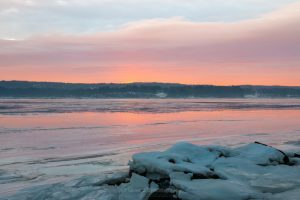 An orange sunrise on a February morning over the Hudson River at Lighthouse Park in Ulster Park, NY. 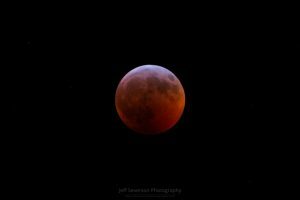 The Super Blood Wolf Moon of 2019 as seen from Ulster Park, NY on January 20, 2019. 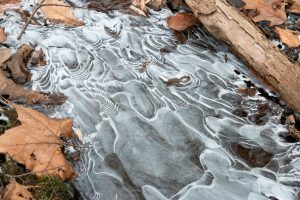 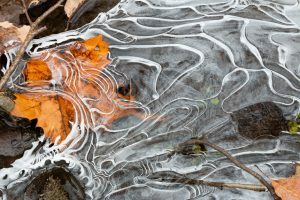 A maple leaf trapped beneath a swirling pattern of ice at John Burroughs Nature Sanctuary in Highland, NY. 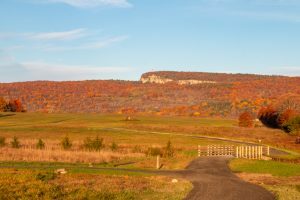 The golden hour of sunrise on a November morning at the then newly opened 6 mile River-to-Ridge trail loop in New Paltz. 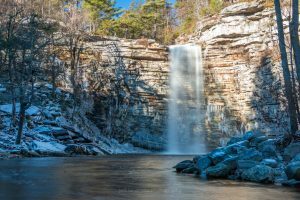 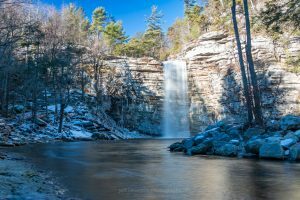 This new trail connects the Wallkill Valley Rail Trail and the carriage roads and footpaths of Mohonk Preserve. 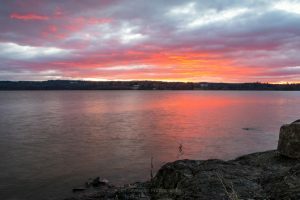 Sunrise on Christmas morning breaking over the Hudson River from the Esopus Meadows Preserve in Ulster Park, NY.